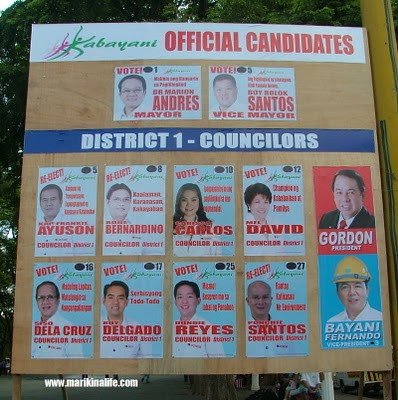 The "Kabayani" Candidates those endorsed by Bayani Fernando. 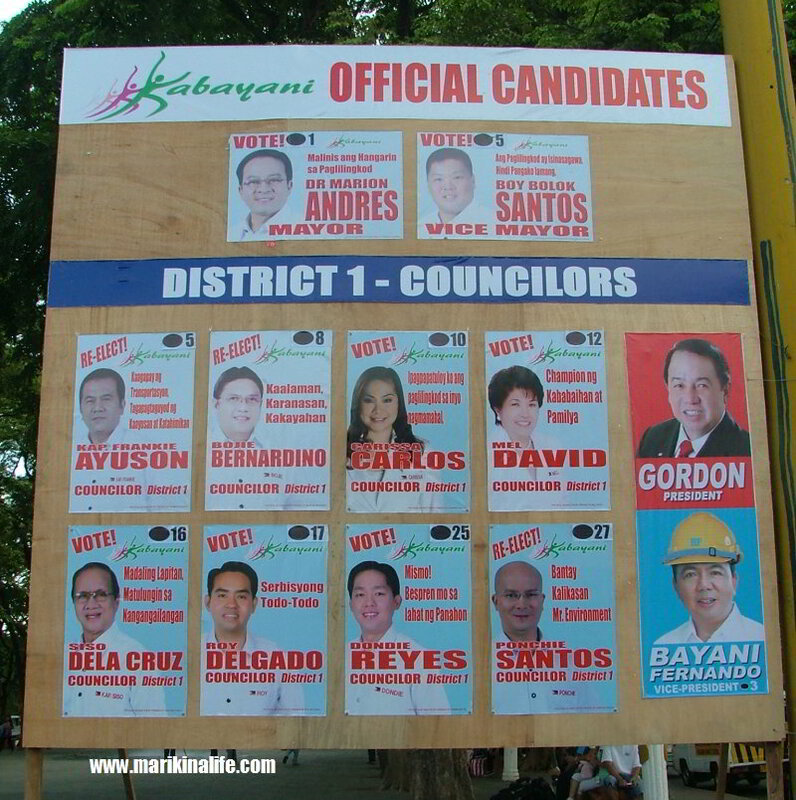 Displayed at the park in front of City Hall is the official list of Candidates for Mayor, Vice-Mayor and District 1 Councilors. Included in the party list are Richard Gordon, running for president and Bayani Ferando running for Vice-President. 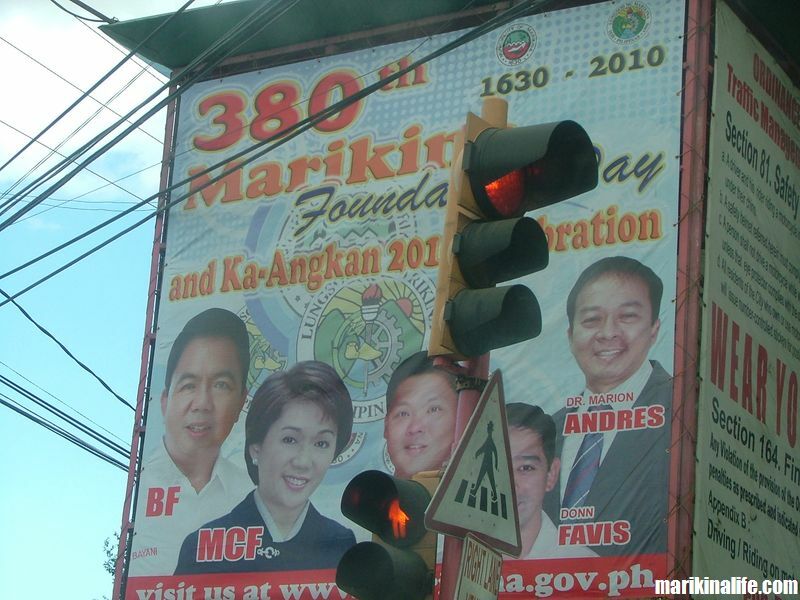 Marikina City celebrates its 380th Foundation Day today, April 16, 2010. In line with the city's celebration, a series of activities are set for the annual Ka-Angkan celebration, which is a family reunion of Marikeños nationwide and worldwide. The opportunity is for the current youth to get acquainted with previous generations of relatives and ancestors. There will be 42 clans participating this year. Last year, the 40 clans consisted of over 9,000 members. On April 17, a foot parade will start at 4 p.m. at the Marikina Sports Park and march to the Riverbanks Amphitheater where there will be a concert and fireworks display. 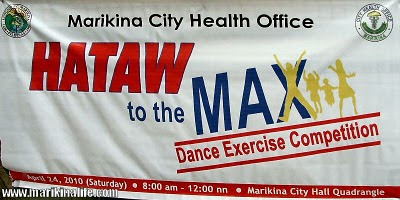 This celebration was initiated in 1998 by former Mayor Bayani Fernando. White Hat fan that I am, I've been visiting this yogurt place frequently for the past few months. I honestly don't know why it only occurred to me just now to blog it :P Anyway, my husband and I (he's also a yogurt fan!) used to brave the traffic and drive all the way to SM North EDSA or Mall of Asia just to have our White Hat fix. It's really great that this yummy yogurt is now just a stone throw's away! 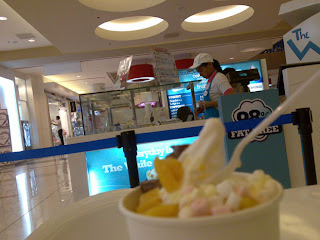 The White Hat Italian Frozen Yogurt kiosk at SM Marikina opened last December, a Yuletide treat to the Ondoy-stricken mall. It's located at the second floor right across the entrance to the Department Store. You can't miss it :) The kiosk offers all the popular White Hat toppings like fruits, candies, Kitkat (my favorite! ), homemade brownies and cheesecake. They also have green tea-flavored yogurt available at this branch. 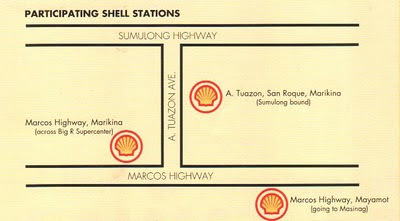 McDonalds Marcos Highway has been one of the longest running McDonalds branches in Marikina City. This is one of the mozst popular McDonalds branches in the East cause it's very conveniently located along Marcos Highway. They had function rooms for birthday parties and other celebrations. They had a drive thru counter for motorists who want a quick take out meal. They had a playground for kids. They had wide screen LCDs with lots of fun McDonalds commercials and ads to watch. They had an open air area with big umbrellas in the front for those who preferred to dine outside. They were open for 24 hours. Unfortunately, this branch was severely affected during Typhoon Ondoy and was submerged in floodwater during the typhoon's peak. I'm sure everybody who passed through this area misses this branch since it's been closed for the past 6 months. The good news is that McDonalds Marcos Highway is being renovated and already placed a tarpaulin in front announcing their reopening. From the looks of the place, it seems they're building a 2nd floor, which is a good idea just in case something as worse as last year's flood happens again. In the meantime, you can visit other McDonalds branches at Q Plaza in Cainta and McDonalds Sumulong Highway beside the Marikina Sports Center. 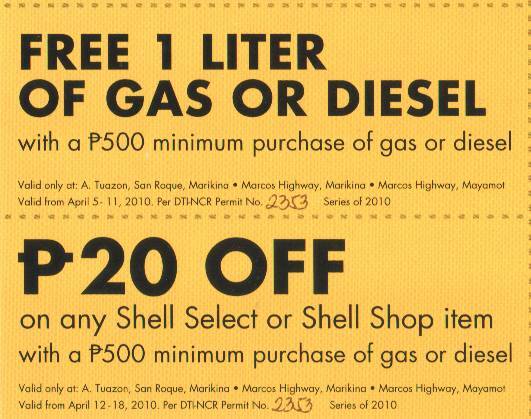 Participating Shell gas stations in Marikina City are giving away a free liter of gas or diesel for every P500. 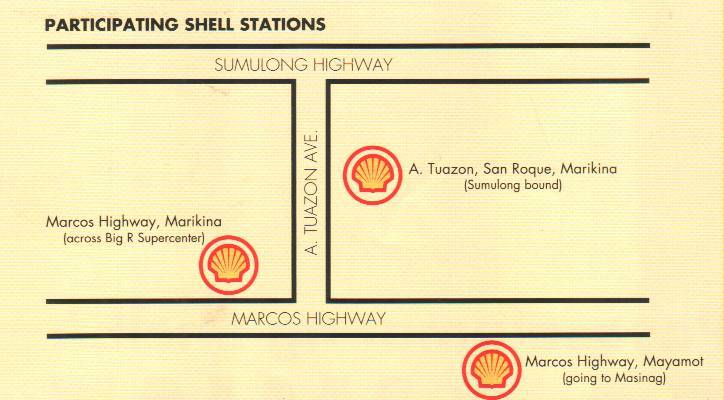 accumulated receipts of gas bought from any of the 3 Shell gas stations. If you gas up at one of the participating Shell gas stations, you can get 1 liter of gas or diesel from April 5 - 11, 2010 or P20. 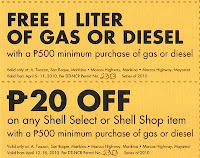 off any Shell Select or Shell Shop item from April 12 - 18, 2010. 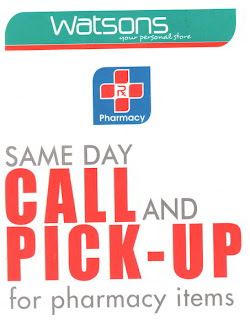 Simply present your accumulated receipts along with a coupon (which can be requested at any of the 3 stations). Hurry now and get that extra liter of gas for free ! Ever since Ondoy flooded Marikina (and Marcos Highway, where our subdivision is), I haven't visited Marikina Sports Center until recently. I've mostly frequented the gym at Robinson's East, or otherwise took a run in our village. But summer's here, and that makes running outdoors quite difficult. My husband and I usually go to the track oval between 9 to 10pm. But a few days ago, we had to rush a number of client requests and projects before the Holy Week break, so we were only able to go to the Sports Center later than usual. I was afraid it would be closed, but lo and behold, the Sports Center staff said they're open 24 hours! I'm not sure if this schedule is only for the summer. 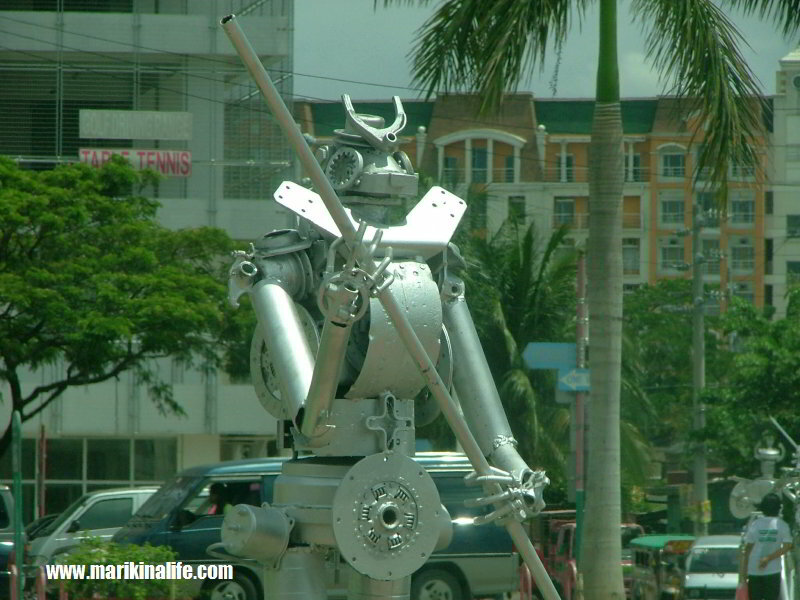 My family and I moved to this part of the Metro about two years ago (I've been a Quezon City girl since birth), and there really are a lot about Marikina I have yet to discover. Marikina Sports Center is one of them. I've been going there for months and it was only recently that I bothered to ask about its schedule :P "Manong Guard" and "Manong Ticketing Booth" just said it's open 24 hours except on Good Friday, when it was closed, and during days when the stadium is reserved for exclusive use. 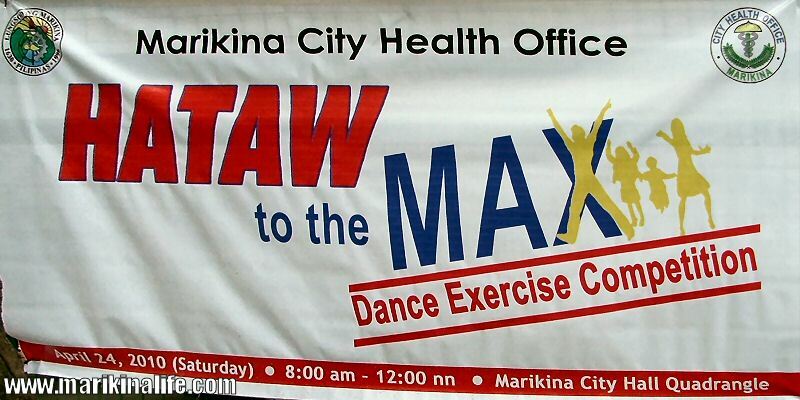 For inquiries, contact MARIKINA SPORTS CENTER at 646-1635. 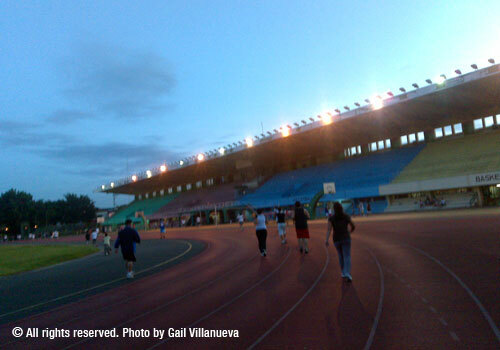 ** The Php10 entrance fee allows you to use Marikina Sports Center's 400-meter tartan track oval anytime within the day except for specific holidays or when the stadium is reserved for exclusive use. 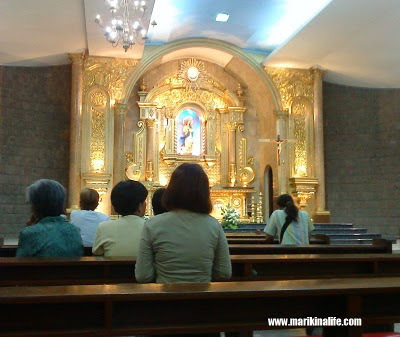 This is the inside of Immaculate Conception Church in Concepcion, Marikina City. Several This is one of the most popular churches in Marikina where thousands of devotees visit during Holy Week. For Marikenos, there's an easy way to pay your bills. 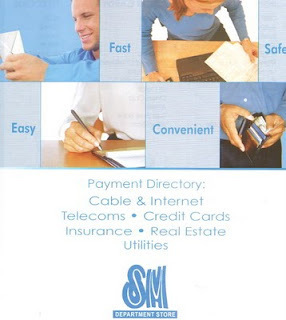 It's via SM City Marikina's payment centers. There are 3 payment centers to choose from. One is at the 3rd floor customer service center. The 2nd one is at the ground floor supermarket and 3rd is at the Upper Parking Level near the escalators. They accept payments for a vast range of services categorized by cable, internet, telecoms, credit cards, insurance, real estate, utilities and selected government bills. I find settling my bills here convenient. The payment center at the upper parking lot near the escalators has 5 counters so there are never any long lines. Comfty seats are also available for customers and their companions. Located along Bayan-Bayanan Avenue in Concepcion, ECS e Livehood & Training Center offers free tuition fee program & subsidized/sponsorship registration. Volunteers help train ECS families at their home base center. Volunteers sign up for either the Saturday & Sunday session or Monday to Friday or both. Each training session lasts approximately 3 hours. Based upon the size of the school enrollment, between 40 and 80 families participate on a given Monday to Sunday training day. Before the tutorial begins, all the attending families are given a free seminar. Volunteers then help these families thru one on one tutorial, and learn the basic operations of word processing, file management, and the Internet. Pay only P50/day for lab. For more details, visit http://ecsfreetuitionfee.tripod.com. ECS e Livehood & Training Center is located at 18 new (5E old) Benedicto Compound, Bayan-Bayanan Avenue, Concepcion 1, Marikina City 1807. Since the arrival of the Spanish friars in 1630, the valley was established as a pueblo meaning "little town". A church was built and in 1687, it became a parish known as Mariquina. 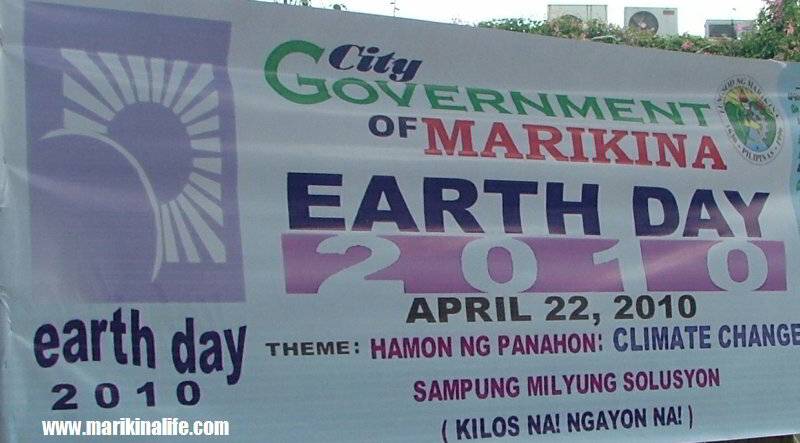 In 1901 when the Americans came, its name officially became Marikina. Much has happened to Marikina since then. One of the most significant changes was on December 8, 1996 when Marikina, which used to be a munincipality of Rizal, was elevated to city status, being known henceforth as Marikina City. The inauguration of the new status brought about rapid urbanization and commercial development wherein city government, businesses, shopping malls & tourism arose. 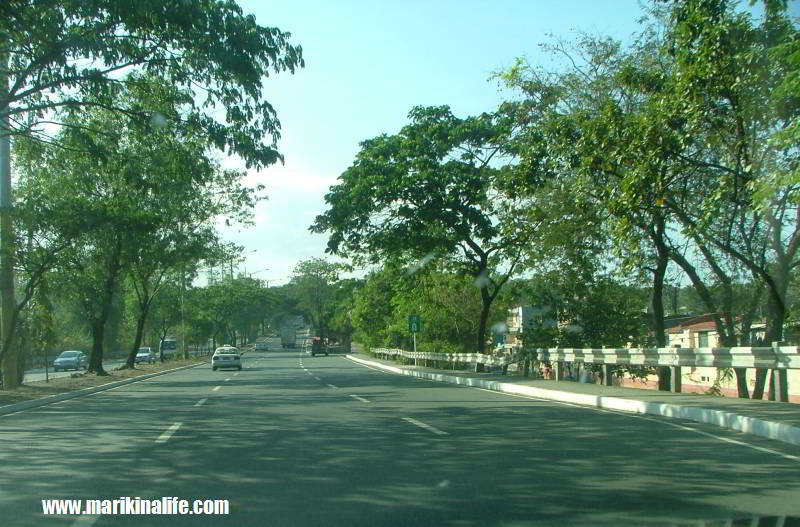 Marikina City became the 9th largest city in Metro Manila with a population of almost a half a million residents. The city also enjoyed several awards such as the Best Local Government Unit in 1996, Most Outstanding City in the Philippines in 1998, Hall of Fame for the Cleanest & Greenest City in 1996 and the 3rd Most Competitive Metro City in the Philippines in 2002 among others. 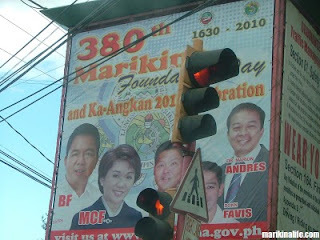 This year, Marikina City is set to celebrate it's 380th Foundation Day on April 16, 2010. Major events and activities city wide are expected for this special day of celebration.